I gave briefing at Sabah State Economic Planning Unit (EPU) on 24th January and Stat EPU approved renew of my research permission. 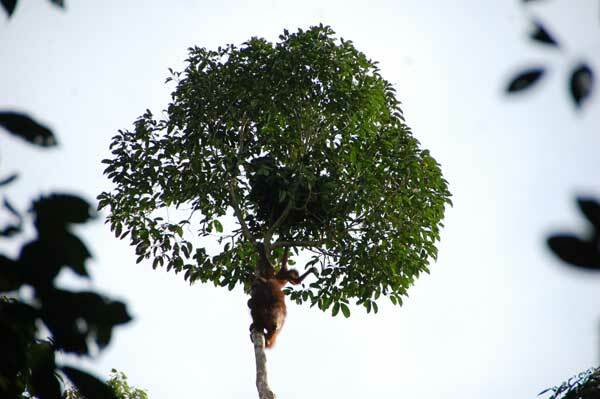 I stayed at Danum Valley Conservation Area from 25th January to 2nd February and searched wild orangutan with field assistants for 6 days. 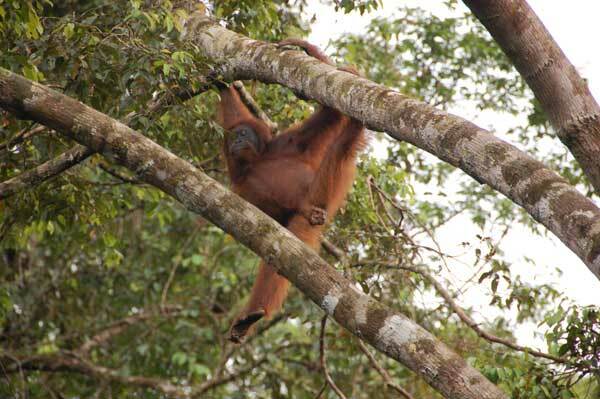 Because of rain season, to find orangutan was difficult then we followed orangutan only for 3 days. I checked two mothers still kept their new baby born in 2010 but could not find two pregnant females observed November 2010. We confirmed one female which born and lost her new baby November 2011 was still healthy without sign of pregnancy while one other adult female became pregnant. Therefore I almost accomplished my purpose in the field trip.